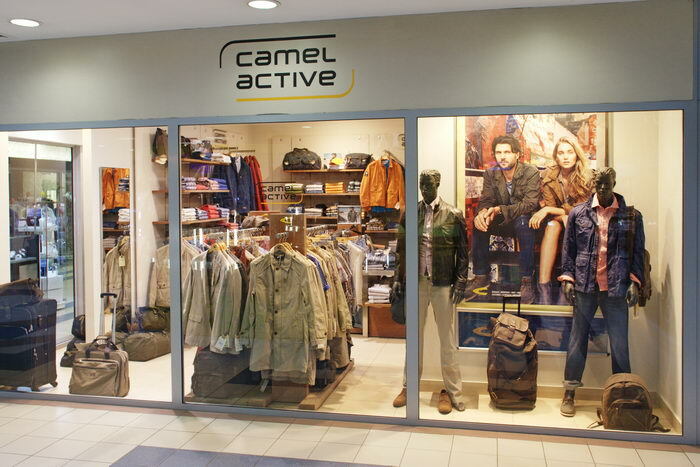 Camel active – striking and full of lifestyle. To present camel active as a sportswear brand that can be felt and experienced, camel active takes its customers beyond the boundaries of daily life and creates special moments for men who yearn for challenges in breath-taking sceneries, and thereby make high demands on relaxed clothing with functional elements. Men's Collection Spring-Summer 2014. New collection - a mix of colors and patterns, a new look at camouflage, as well as fonts and floral ornaments. Free, not constricting movement leg, a combination of different in quality, type and color of the fabric, as well as Brazilian bright color lend the collection its authenticity. Inspiration for its creation has served Brazil. The diversity of flora and fauna, diverse culture of this country have created ideal conditions for the designers of the brand. Collection model can be described as "uniform" urban style. The store offers a full range of brand: a variety of jackets, pants made of denim and cotton shirts, shirts, sweaters and polo summer. All things combined collection and complement each other. The store also underwear , footwear and accessories collection.